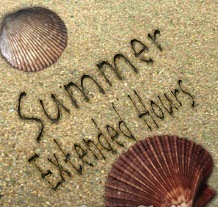 The California Genealogical Society and Library is pleased to offer summer extended research hours, designed especially for members and patrons who work during the day. This year summer is coming early! Starting May 23, 2013 and continuing every Thursday through August, the library will be open from 9:00 a.m. until 8:30 p.m. Library hours on the two other open days each week will remain the same: Friday (9:00 a.m. - 4:00 p.m.) and Saturday (10:00 a.m. - 4:00 p.m.). If you have never visited, please join us and take advantage of the many resources in the library. The library is a free benefit for members but non-members are welcome too. The library charges a nominal $5.00 users fee for non-members. We hope that once you explore our resources, you will want to join. If you plan to drive, the lot in the rear of the building has a reduced rate after 3:00 p.m., and the metered spaces in Oakland are free after 6:00 p.m. (NOTE: they fill up fast!) Traveling by BART is easier – get off at the 19th Street station. The library is in the lower level of the Breuner Building at 2201 Broadway – entrance on 22nd Street. To kick off Summer Extended Hours, Jane Lindsey will be presenting a class – FamilySearch: What There Is for You.